Best Images Recovery Software, recovering images in 3 Steps! Image Recovery Pro is a good program to undelete pictures, photos and videos. Images undeleting is a risky task since it may lead to permanent data loss. But with the help of Image Recovery Pro, you can take it easy. Image Recovery Pro can undelete all kinds of lost data without any risk. You can also preview the pictures you want to recover before you restore them. 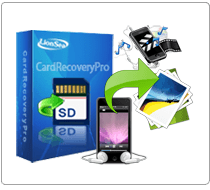 Image Recovery Pro recovers files from external USB disks, digital photo and video camera memory cards and other devices with the FAT (FAT12, FAT16, FAT32, and exFAT) file system. In additional, it also uses the scan for known file types, which makes Image Recovery Pro an ideal solution for recovering lost digital photos, movies, and music. In comparison with the free Home version, Image Recovery Pro additionally recovers lost files from NTFS, NTFS5 (created or updated by Mac/Win2000/XP/2003/Vista/2008/Win7/Win8). For convenience of users, Image Recovery Pro can be run from disks and folders context menu. Image Recovery Pro supports Dynamic Disks, encrypted files, localized names, compressed files and alternative data streams. Most of graphic, video and audio files can be previewed in Image Recovery Pro demo mode to estimate recovery chances before purchasing. Found files and folders can now be easily sorted by the original structure, file extension or file creation/modification time. Starting from the version 4.5, Image Recovery Pro creates an image and simultaneously scans the data being copied. The program creates two files stored in the same place: an image file and a file with the scan info. The upgraded file viewer supports the additional file formats including Adobe Acrobat PDF, Microsoft Office documents doc, xls, ppt (Office 97-2003), docx, xlsx, pptx. A newer, faster, and stronger algorithm for Known File Types scanning and FAT file system processing. The algorithm is adapted to multi-core processing and prevents the program from freezing and crashing in a critical situation. 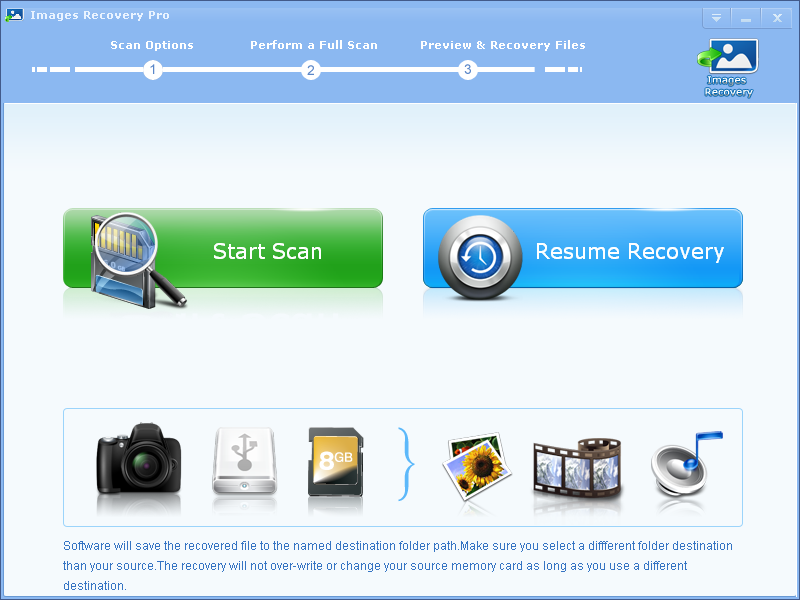 * Images Recovery Pro will undelete all type of photos from your SD card or disk.